Carefully prepared stone tool toolkits of the Middle Stone Age occur in deposits dating back to 78,000 years ago, but a distinct shift in technology to the Later Stone Age is shown by the recovery of small artefacts beginning at 67,000 years ago. The miniaturization of stone tools may reflect changes in hunting practices and behaviors. The Panga ya Saidi sequence after 67,000, however, has a mix of technologies, and no radical break of behavior can be detected at any time, arguing against the cognitive or cultural 'revolutions' theorized by some archaeologists. Moreover, no notable break in human occupation occurs during the Toba volcanic super-eruption of 74,000 years ago, supporting views that the so-called 'volcanic winter' did not lead to the near-extinction of human populations, though hints of increased occupation intensity from 60,000 years ago suggests that populations were increasing in size. 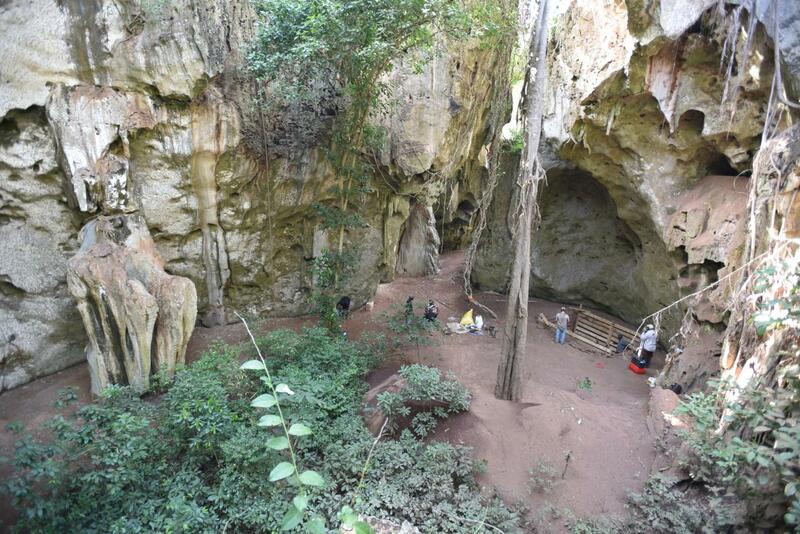 Project Principal Investigator and Director of the Department of Archaeology at the Max Planck Institute for the Science of Human History Dr. Nicole Boivin states, "The East African coastal hinterland and its forests and have been long considered to be marginal to human evolution so the discovery of Panga ya Saidi cave will certainly change archaeologists' views and perceptions." Group Leader of the Stable Isotopes Lab Dr. Patrick Roberts adds, "Occupation in a tropical forest-grassland environment adds to our knowledge that our species lived in a variety of habitats in Africa." "The finds at Panga ya Saidi undermine hypotheses about the use of coasts as a kind of 'superhighway' that channeled migrating humans out of Africa, and around the Indian Ocean rim," observes Professor Michael Petraglia.